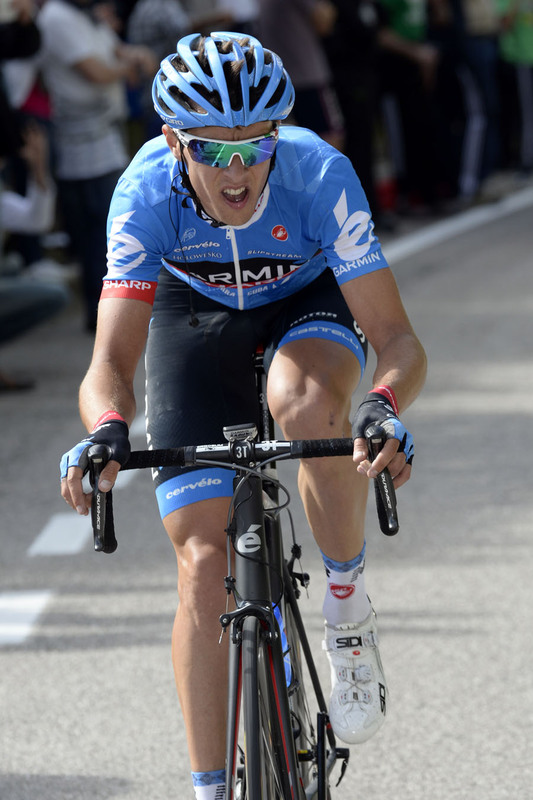 Garmin-Sharp’s Ramunas Navardauskas took advantage of a day off for the favourites in the Giro d’Italia to claim a stage victory ahead of Daniel Oss (BMC). The pair were part of a 20-strong breakaway that dominated proceedings during the stage, bridging to earlier escapee Patrick Gretsch (Argos-Shimano) with 20km to go before the Lithuanian took off on his own on the fast finishing climb to Erto e Casso. It is a second stage win in recent months for the rider nicknamed the ‘Honey Badger’ who, on top of wearing the maglia rosa during last year’s Giro, claimed a stage at the 2013 Tour of Romandy. Over five minutes behind the stage winner, the group of overall favourites finished together after collectively recovering from yesterday’s testing summit finish. Vincenzo Nibali retains his hold on the pink jersey after his Astana team put in another long shift controlling the race from the front of the peloton. 7. Egoi Martinez (Euskaltel-Euskadi) at s.t.